The Blue Marsh Lake multi-use trail is a 29 mile trail that encircles the U.S. Army Corps of Engineers Blue Marsh Lake project. It is open for all non powered uses, such as hiking, mountain biking and horseback riding. Location: NW of Reading off SR 183 at Palisades Drive. From Reading, take SR 183 North to Palisades Drive, park entrance, visitor center and main trailhead are located off Palisades Drive. The Blue Marsh Lake multi-use trail is 29.7 miles long encircling the U.S. Army Corps of Engineers Blue Marsh Lake project. The trail location is Berks County in southeastern Pennsylvania. The trail is open to all nonmotorized use, such as hiking, mountain biking and horseback riding. The trail travels through various habitat types ranging from open fields in grass and other crops, to shrubby/brushy areas to mature forest. The trail surface varies from mowed grass to compacted soil and gravel to abandoned roads. The trail varies from wide open spaces to winding single-track through the forest. 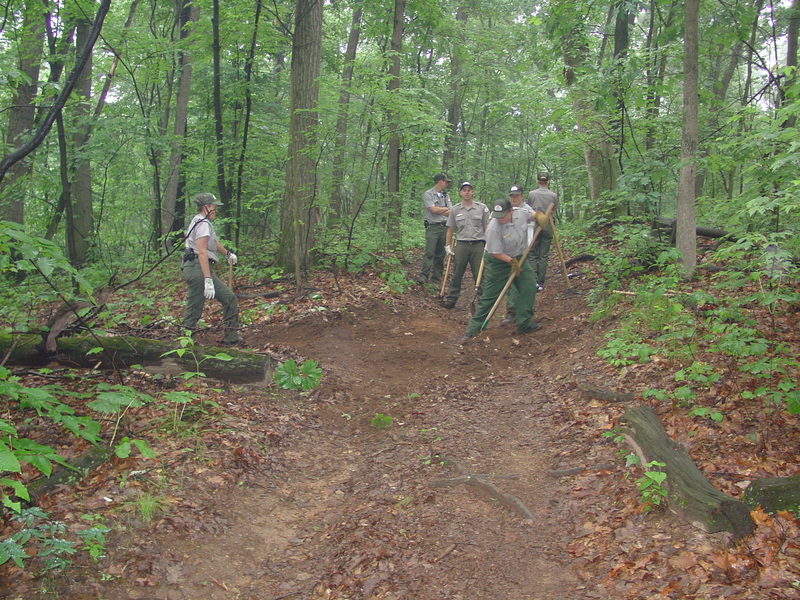 The trail was constructed over a period of years by Corps of Engineers employees, local volunteers such as Scouting groups, local school classes, civic groups and community service workers. The local Army Reserve unit has used the trail for their monthly training exercises and in the process has graded and improved the trail surface. We have also had a “handshake agreement” with the local Izaak Walton league to stabilize part of the lake's shoreline which protected a section of the trail. The trail connects to the Berks County Union Canal trail via a connector trail from the Stilling Basin area to the Reber's Bridge area. This 1.8 mile trail was developed through a partnership between the Corps of Engineers and the Berks County Parks Department. 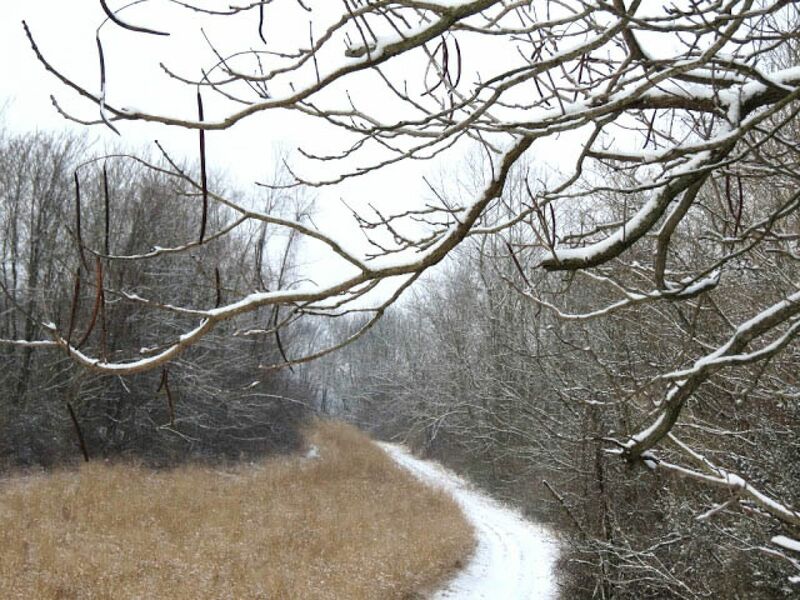 The Corps leased the land to the County, which used grant money to construct the trail. This connector trail is also part of the Schuylkill River Trail, which is a multi-use trail that will eventually extend the entire 130-mile length of the river, from Pottsville, in Schuylkill County to Philadelphia. By connecting to the Schuylkill River Trail, the trail system and other recreation facilities at Blue Marsh Lake such as swimming and picnicking are now accessible by trail to the populations of Reading, Pottstown, and Philadelphia. There are many recreational opportunities at Blue Marsh Lake in addition to the multi-use trail. Most of the lands are open to public hunting. Many folks use the trail for exercise and to walk their dogs. Wildlife and bird watching are popular activities especially in the fall during the hawk migration. 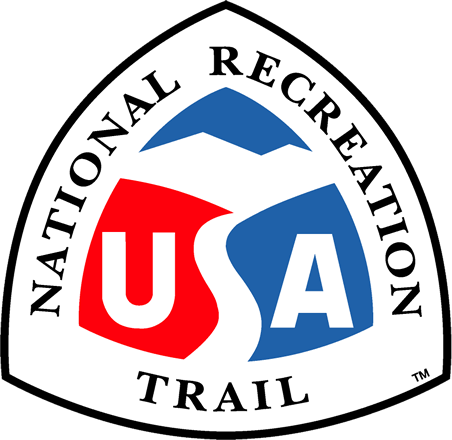 The lake is host to many different trail events throughout the year including trail marathons, team trail challenges, and volunteer trail days such as National Trails Day and National Public Lands Day events. Located near the multi-use trail are three different interpretive trails, one which is handicap accessible. There are also two different loop trails that extend from the multi-use trail. In 1995 the editors of Bicycling Magazine listed the Blue Marsh multi-use trail as one of the best single-track mountain biking trails in the United States.